BBC’s Easter snuff drama, The Passion, has come under fire because it portrays Jesus as being crucified in a different position to the one “cherished” by Christians. Instead of the traditional nails-through-the-palms and arms outstretched, Wayne Rooney style, the BBC shows Jesus attached to a stake with his arms above his head and nails through his forearms, with knees bent. They are misleading people by distorting the facts. That’s a serious and dangerous thing to do, but sadly utterly predictable and regrettable. Jesus’s nails went through his hands not his forearms. We should be true to history and the events that occurred. The Mail even wheels out Stephen Green, of the failed lobby group Stephen Green’s Voice (aka Christian Voice), who mutters something about “fact” and uses the word “guys” in an effort to sound modern, but is otherwise too dull to bother with. The ridiculous Organisation of the Islamic Conference is laying out battle plans to defend its religion against cartoonists and critics. But perhaps we should peel away the rhetoric of victimhood, used so indecently, and look at what’s actually being demanded here: A right not to hear that one is being irrational, dishonest or mortifyingly stupid, regardless of just how irrational, dishonest or mortifyingly stupid one actually is. That’s a license of no small magnitude, and one that a person of good faith would neither grant nor desire. It’s one thing for a Muslim to perform whatever mental contortions are required to add the honorific “peace be upon him” to the name of a vain and murderous Bedouin who claimed to talk with God while beheading hundreds of his victims; but to enshrine that pathological dishonesty in international law would be intellectual vandalism on a jaw-dropping scale. Reporters Without Borders reports that a Paris appeal court has once again acquitted Philippe Val, editor of Charlie Hebdo, on charges of insulting Muslims. The appeal against the original verdict was brought be the Union of Islamic Organisations of France. Perhaps now they will let it go. In Pakistan, Wednesday, a demo by Islami Jamiat-e-Talaba against the Motoons was broken up by riot police. They had been blocking roads and setting fire to cars, apparently. They were not interested in speaking to me, they just wanted to read their statements and praise Allah. If you can’t stand being criticised, instead of engaging with the argument you ban the material that’s criticised you. That’s been the ploy of dictatorships and other oppressive regimes from time immemorial. You don’t get people calling for that sort of thing in civilised countries, do you? Certainly not in dear old Blighty. Patrick O’Donoghue, Bishop of Lancaster, wants to ban books from school libraries if they criticise the Catholic Church. Yes, he wants to ban them. Remove them from sight. Prevent students from reading them. Presumably, in a Catholic publication they would be presented neutrally, then. Fiona McTaggart, the Labour MP for Slough, said she was extremely concerned that Catholic sixth-formers would be denied access to great works of fiction as well as non-fiction if the bishop’s ban were implemented. “I would not expect a school to promote material that was lies but I also would also expect children to encounter a wide range of material even if they then need to be given the tools to criticise them,” she said. The bishop’s summons to appear before the committee followed a document he produced last year which angered some MPs because of its strict line on sexual morality. Considering the Catholic Church’s stance on condoms – which could be real lifesavers as well as preventing the births of many people who then go on to create further unachievable demands on the ecosystem, thereby becoming a further threat to other life – talk of “anti-life” is rich! This evil oranisation that steals from the poor, the weak, the vulnerable and the gullible the world over in order that its prelates may prance about in their camp finary and live the life of Riley has the temerity to accuse Red Nose and Amnesty of “anti-life” policies! Kurt Westergaard, the cartoonist who drew the iconic Turbomb Motoon, has asked his lawyer to prevent members of the group Stop Islamisation of Europe using his drawing as a centrepiece of their demonstration this weekend. I am a cartoonist with a large newspaper. A cartoon like this belongs in a newspaper or magazine. While we can sympathise with Westergaard’s wish to retain control oven the image he created, and his reluctance to be associated with a political group he disagees with, he is going to find it difficult to put this bomb-headed genie back in the bottle. The Yahoo report also mentions an offer to purchase the original sketch. Convicted hijacker Martin J McNally, who is currently serving two life sentences in the US, offered Westergaard a paltry $5,000 for the original and the rights. Westergaard has agreed to donate the drawing to the Danish national library when he retires. 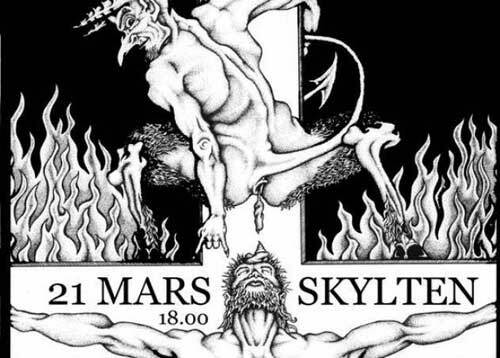 The Local reports that the editor of a Swedish newspaper has been getting death threats from Christians since he reprinted a poster advertising a punk festival. The local council had already censured the festival poster, so Östgöta Correspondenten editor Ola Sigvardsson deemed it newsworthy enough to print. Since then, according to Middle East Online, he has been “exposed to various threats”, including one saying the editor’s throat should be slit and that “if no one dealt with it, then Jesus would do it”. Failing to see the irony, the Organisation of Islamic Conference (OIC) is saying that taking the rise out of Islam can lead to a threat to world security. According to a story on an American news website that aims to publicise stories normally underplayed by the mainstream media, the organisation is calling on America and Europe to take stronger measures to stamp out the evil that is criticism of Islam. The report by a special OIC monitoring group said the organisation was struggling to get the West to understand that Islamophobia “has dangerous implications on global peace and security” and to convince western powers to do more. Islamic leaders have long warned that perceptions linking Muslims to terrorism, especially since the September 11, 2001, Al-Qaeda attacks on the United States, would make Muslims more radical. What it seems to have in mind mainly is the Turbomb cartoon, which has “triggered” (if you believe most of the world’s media) protests, deaths, mayhem and trashing stuff by Muslims the world over. OIC leaders have expressed renewed concern [the story continues] following events such as the publication in Denmark of cartoons lampooning the Prophet Mohammed and a plan by the Dutch far-right MP Geert Wilders to release a film calling the Koran “fascist”. Meanwhile, the International Humanist and Ethical Union (IHEU) is kicking up a stink about this OIC malarkey. In a statement to the UN’s Human Rights Council, it says the 57 members of the OIC are aiming to undermine the 1948 Universal Declaration of Human Rights. “The Islamic states see human rights exclusively in Islamic terms,” it says, “and by sheer weight of numbers this view is becoming dominant within the UN system. The implications for the universality of human rights are ominous. 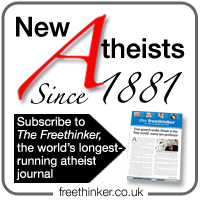 The IHEU statement [. . .] came against the background of mounting success by the OIC, currently holding a summit in Dakar, in achieving passage of UN resolutions against “defamation of religions”. Although several such resolutions have been adopted by the two-year-old Council and its predecessor since 1999, in December the UN’s General Assembly easily passed a similar one for the first time over mainly Western and Latin American opposition. The OIC – backed by allies in Africa and by Russia and Cuba – has been pushing for stronger resolutions on “defamation” since a global controversy arose two years ago over cartoons in a Danish newspaper which Muslims say insult their religion. Nice, though, that Reuters keep using scare quotes around the word defamation! 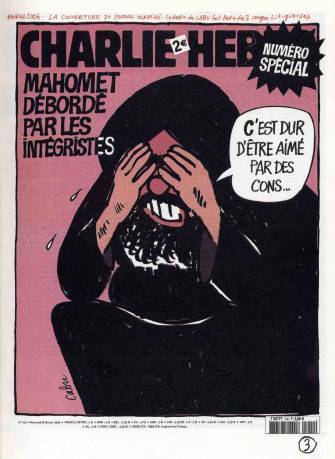 And it really does make you wonder what they’d do if we in the West posed a real threat against Islam instead of drawing a few cartoons and taking the piss now and again, as we do out of all religions that display extreme twattishness. The Archdeacon of Liverpool and 22 others who complained about an “offensive” hairstyling TV commercial have been vindicated by the ASA. The ads for the ghd IV hairstyling implement showed some scantily clad women looking upwards and saying internal prayers in various languages. The ads ended with the words “ghd IV The will be done”. It crossed the line. The Lord’s Prayer is fundamentally important to many Christians. It should not be treated as trivial. The ruling sends a message to advertisers they need to take people’s sensibilities into account. I’m glad the ASA has taken a stand on this. Jemella, the company which produces the implements, argued that biblical phrases were in common usage in advertising, and that the ads were unlikely to cause widespread offense. the eroticised images of the women apparently in prayer, in conjunction with religious symbols such as the votive candle and the rosary beads, the use of the phrase “thy will be done” from the Lords Prayer and the image of the letter t as the Cross of Jesus, were likely to cause serious offence, particularly to Christians. and ruled that the ads must not be shown again. Perhaps realising that as a Defender of the Precious Name of Our Almighty Lord and Saviour Jesus Christ he has been worse than useless, Stephen Green has intimated that he is thinking about getting into the sexual therapy business. Christian sexual therapy, that is – where they attempt to “cure” gay people. 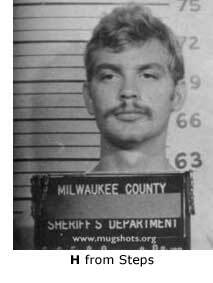 Jeremy (sic) Dahmer was happy murdering people, does that make it right? He then went on to reveal that he was “actively thinking of enabling a sexual healing clinic in Wales”. Keep up the good work, Stephen. We’ll have a secular constitution in no time.